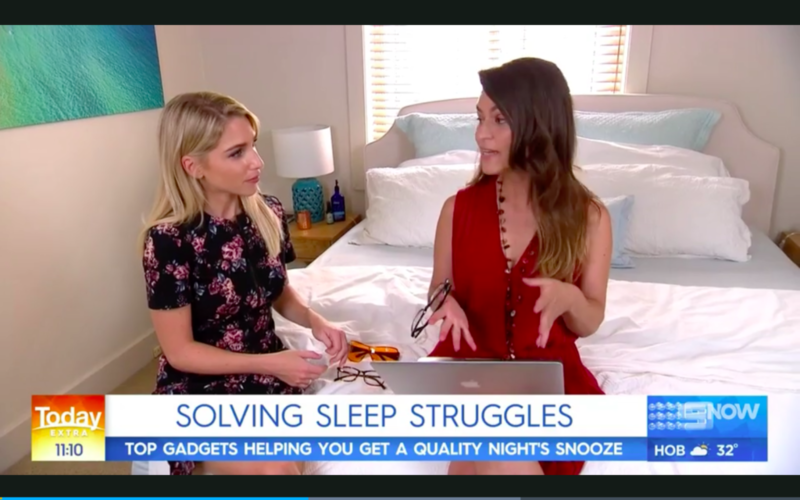 People who have difficulty sleeping, have often tried sleeping tablets, cutting out coffee, going to bed at the same time every night, sleeping aids, special diets, and whilst these things may support their sleep, they often aren’t enough. I had a similar journey, and it is why I decided to dedicate my life to helping others with their sleep. 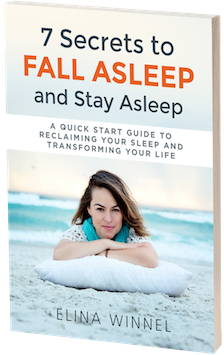 Over 10 years I developed a mind body approach that addresses the root causes of insomnia. The program, is tried and tested. It worked on me. It has worked on my clients. It has touched the lives of thousands of people around the globe. 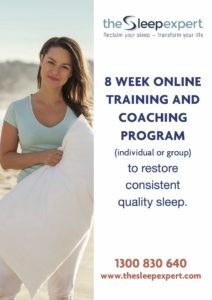 In this program, people typically achieve consistent quality sleep in less than 60 days. It will transform your life. A 20% discount is being offered to channel 9 viewers over the next 48 hours (until Friday 8th Feb). Earthing products are designed in such a way as to simulate the effect of sleeping directly on the earth. 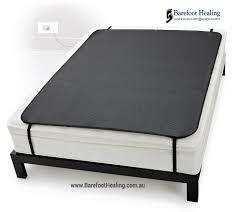 Studies have shown that using earthing matts and products helps to reduce the key stress hormone cortisol. This also allows our melatonin levels to increase. With lower stress hormone levels, and higher melatonin, we can relax more easily and sleep more deeply. One of the best things about this product is that it is “set and forget.” You place it on top of your mattress, so it sits just underneath your sheets. 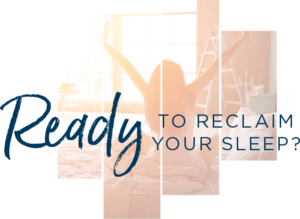 There is nothing else you need to do, and it will be working away for you, helping to reduce your cortisol levels and inflammation whilst you sleep. Blue light waves are very short light waves, similar to what is produced by the sun. Our devices emit these wavelengths and our brain believes it is still daytime. This light suppresses the production of our sleep hormone melatonin. Blue light glasses block out the blue light, allowing our natural melatonin production to occur. One of my favourites are Baxter Blue glasses. They look like normal glasses rather than being very orange, and block out about 50% of blue light. 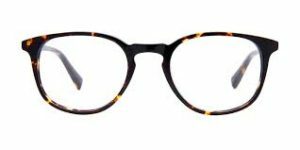 I have found people are more inclined to wear the glasses, because quite simply, they look good. You can also wear them during the day to minimise digital eye strain. 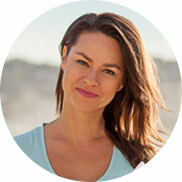 In my practice, people often tell me that pain is preventing them from sleeping. Many of my clients love the Pain Pod. It helps reduce or eliminate pain, which allows them to sleep better. It uses electric pulses to increase blood flow to relevant muscles and block pain signals to the brain. 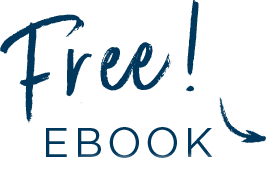 It is an all natural and drug free way of addressing pain. It is commonly used amongst elite sport athletes. You have to try it to believe it. It really is an excellent product. 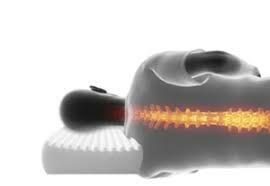 SpinalEze pillows are specially researched & designed by medical scientist & chiropractor. They have been clinically trailed & developed. The aerated viscose material has been made specifically developed to optimize neck support and comfort, whilst the design has been optimised for spinal support. It keeps the airways straight and open which can help minimize neck pain, snoring and very mild sleep apnea. The pillows are also anti-microbial and anti-dust mite. I personally use a SpinalEze pillow and love it!